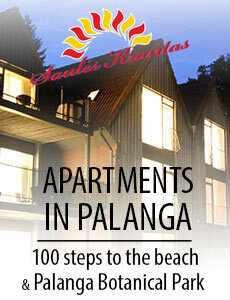 Palanga INN - holiday apartments in a quiet location of Palanga several hundred steps to the wide sandy beach of the Baltic sea. We offer a rental of quality apartments and studios for perfect vacation by the sea. Palanga INN - a new apartment complex (pened in 2019) - exclusive summer residence in Palanga, oriented to a quiet family vacation. Newly designed one-bedroom apartments with balconies and modern studio suites with spacious summer terraces for your relaxed stay. 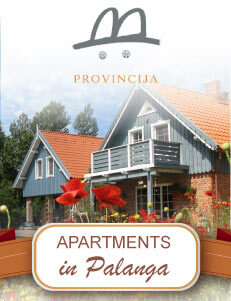 Palanga INN is a holiday apartment complex, located in Palanga, in Kunigiškiai, in a privately fenced area, a few steps from the wild sea beach. 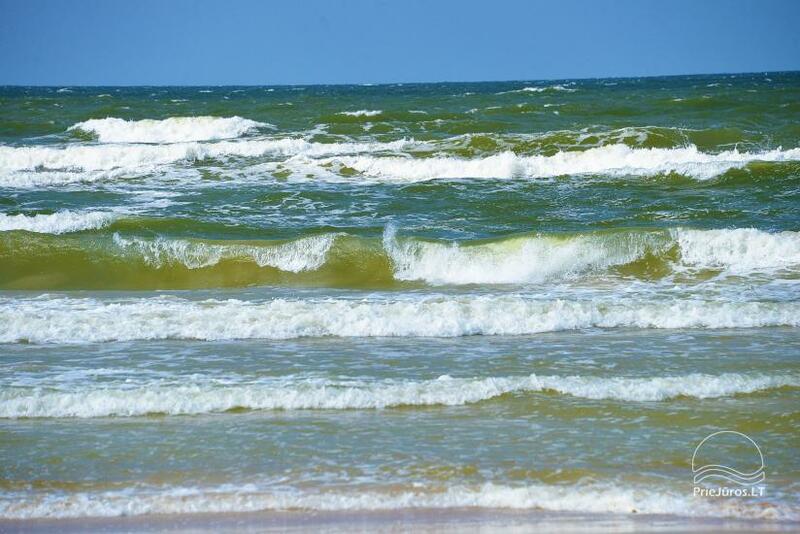 The Baltic Sea, the clean sandy beach, the dunes and the fragrant pine stands are just 100 meters away. For active leisure lovers there is a bibycle path Klaipeda - Sventoji, taht winds along the coastline of the sea. Nearby: fishermen who smoke and sell just caught fish, family food stores, fast food barbecue, and gourmets can enjoy the nearby restaurants "Medūza", "Grandiali", "BABŪ" cafe. 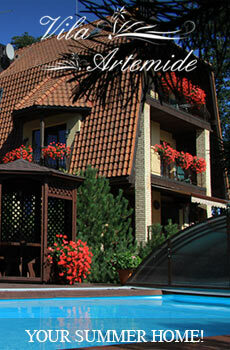 There are also a few SPA center nearby: "Medūza" and "Grandiali" with SPA services, saunas and swimming pools. 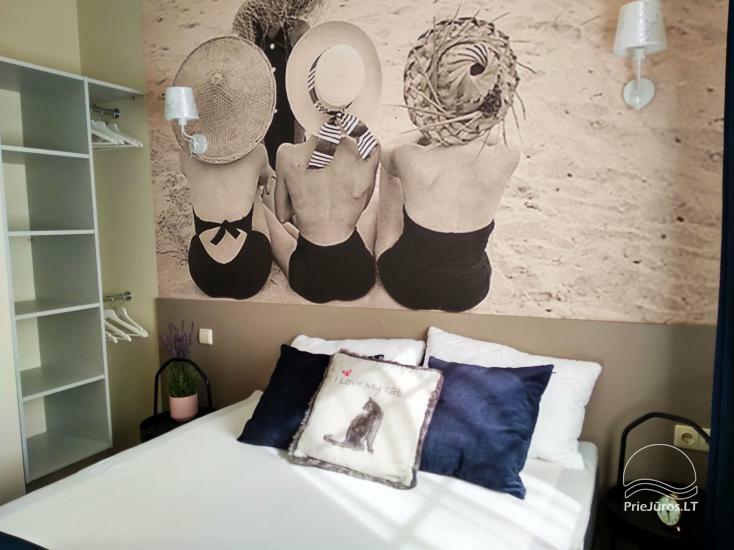 Palanga INN is locatded in a very convenient place of Palanga: Palanga International Airport (3 km) is nearby, and Palanga City Buses stop in several hundred meters. In a private fenced territry: outdoor carcass swimming pool, trampoline, swings, sandbox, table tennis; bike rental, as well as roller scates, Nordic Walking Sticks. "Wake Inn" SUP Park - 1 km away, it offers kiting lessons and quick snacks. "Water Inn" Summer Trampoline Park - 1 km away and offers entertainment in trampoline park on Kunigiškės Water Pond and yoga classes. Our partner "Mėmėlio vynas" ("Memel wine"), who is famous for the Lithuanian wine variety "Memel wine" from generation to generation and traditions of different wines, as well as participates in international contests, offers excursions / tastings in Drevern. 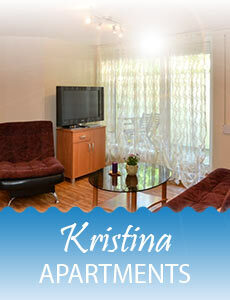 One-bedroom apartment for up to 4 persons. Comfortable, modern equipped 21 sqm. one-bedroom apartments on the second floor with a balconies. Each one-bedroom apartment has a double bed and a sofa bed. Newly-equipped kitchen with the necessary equipment, crockery and cutlery, WC with a shower - all for the comfort of the holidaymakers. You will need to take only personal hygiene items, beach accessories and ... a good mood. 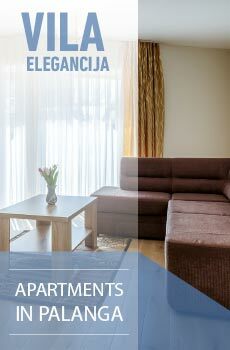 Studio apartments for up to 4 persons. It has one double bed and a sofa bed. The studio is modern and stylishly furnished, with a kitchenette with all necessary equipment, crockery and cutlery, WC with shower. The studio has a cozy outdoor terrace.  You will need to bring only personal hygiene items, beach accessories and ... a good mood. We are pleased to remind you that the quiet time is from 22:00 to 8:00. The person who made reservation is responsible for the apartment during the stay period and must present a valid identity document at the time of arrival. During the off season (from September 5 to June 5) - from 40 to 60 € per night. During the high season (from June 6 to September 4) - from 65 to 95 € per night. We apply discounts for stays longer than 7 nights. In case the illegal actions of the guests.